Bring a pot of salted water to a boil. Add in as many potatoes as you wish to make and cook them until they are fork tender. On a sheet pan, generously drizzle olive oil. Place potatoes on the cookie sheet leaving plenty of room between each potato. 90 degrees and mash again. 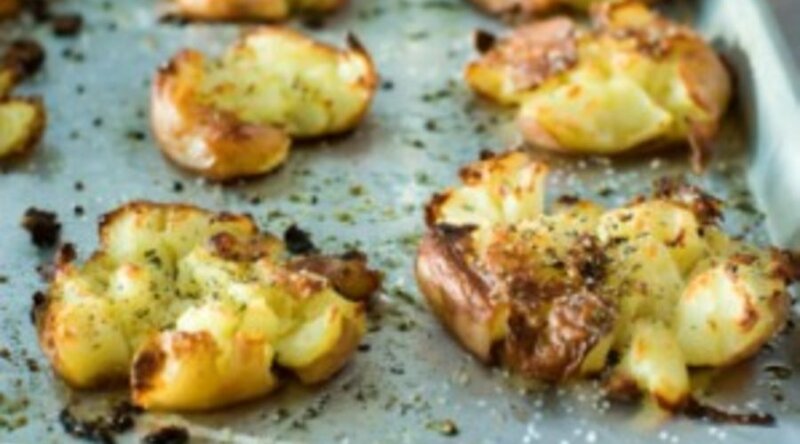 Sprinkle potatoes with salt, pepper, and chopped herb of choice.